Equus is a genus of animals in the family Equidae, which includes horses, donkeys and zebras. This course will discuss how the relationship between mankind and Equus shaped the path of history on the African continent. The three-lecture course will look at the biology of the equids, and also the history, culture and landscapes of Africa we seldom hear about. The course will begin with the origins of equids on distant shores at the dawn of prehistory and their migration into Africa. It will uncover their role in the history of north Africa, the great empires of west Africa and in modern and historical southern Africa. Bankoff, G. and Swart, S. 2008. Breeds of Empire: The “invention” of the horse in southeast Asia and Southern Africa, 1500–1950. Copenhagen: Nias Press. Chamberlain, E. 2006. Horse: How the horse has shaped civilizations. Bluebridge. Williams, W. The Horse: the epic history of our noble companion, Scientific American. Farrar Straus and Giroux. Sue Kidson is professor in cell and developmental genetics in the Division of Cell Biology in the Faculty of Health Sciences at UCT. She currently serves as Deputy Dean in the faculty. 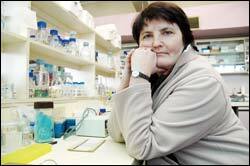 She has previously presented lectures at Summer School on animal cloning and on stem cells.